In an era where search engines are the new travel agent, SEO is crucial to reaching travel shoppers and winning bookings. From SEO strategies to digital marketing trends, if you follow our blog then you know we keep you to up to date on a wide range of tips and tricks for hoteliers to stay on top of the competition. 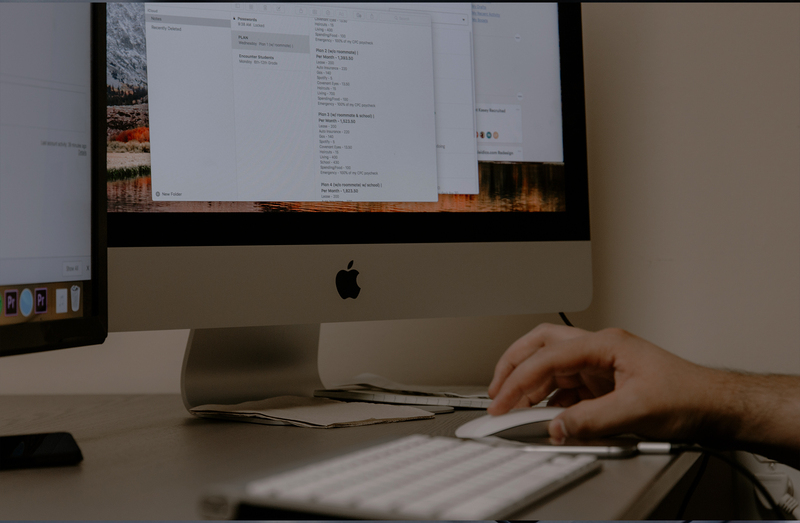 We’ve compiled a list of five of our most popular SEO blog posts that will bring you one step closer to climbing to the top results on hotel searches in your area. More often than not, branded hotels have little control over their web presence. A vanity website (which is a website specifically for your hotel), gives you an opportunity to stand out from the competition by telling your hotel’s unique story. 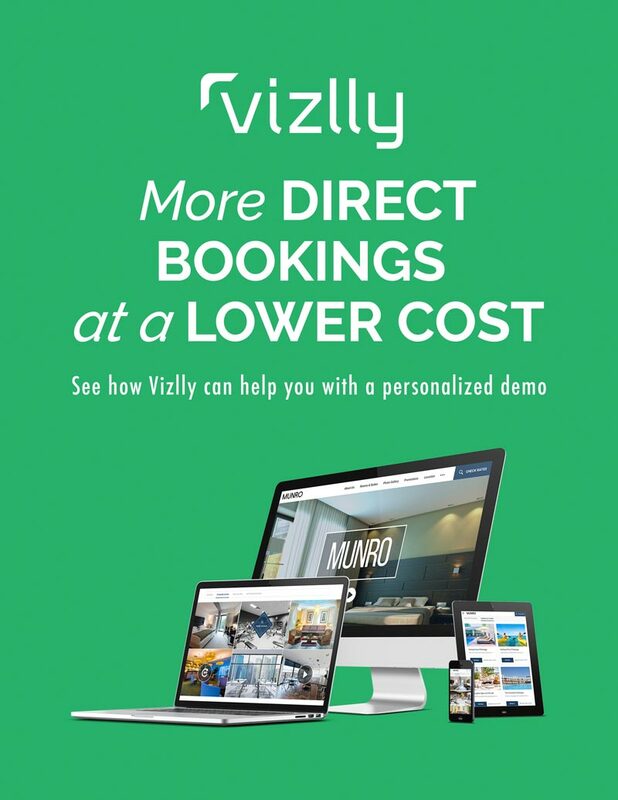 A vanity site also gives travel shoppers more ways to book directly with you, rather than an Online Travel Agency (OTA). Learn more about how a hotel website + SEO can boost your hotel’s search rankings. 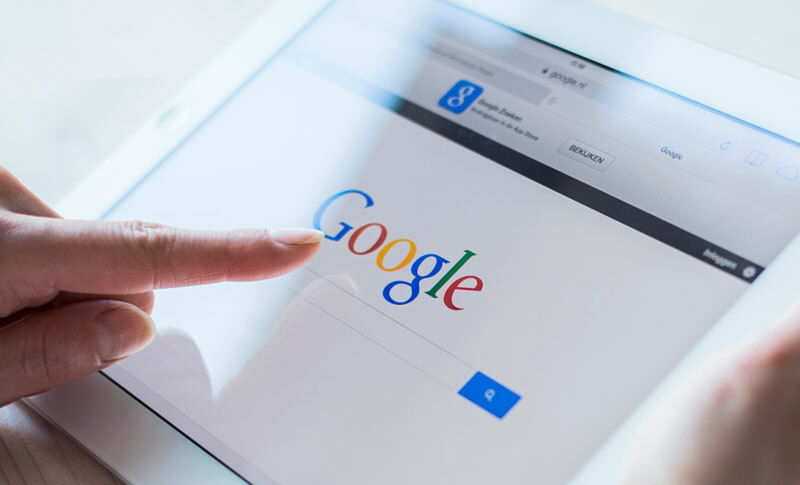 Google updates its search algorithm about 500 to 600 times annually. Unless you have time to keep on top of analytics and changing trends, an SEO partner is crucial to keeping your online presence on the right track. Check out these five tips and tricks for finding the right SEO partner. 3. What Are Long Tail Keywords & How Can They Drive Direct Bookings? Leveraging long tail keywords is an essential SEO strategy that you can use to bring more travel shoppers to your hotel website. In this post, we dive deep into long tail keywords and explain how they can help your hotel drive more direct bookings. 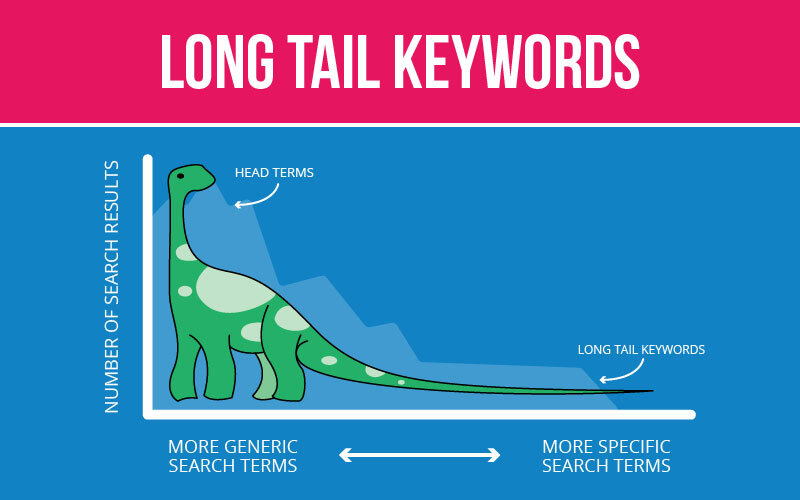 Learn more about long tail keywords and how to use them to your advantage. The mobile version of your site can’t be an afterthought. With mobile-first indexing, Google crawls the mobile version of your site before your desktop site. Having a great mobile website is essential for SEO rankings, not to mention direct bookings. See what a great mobile hotel website looks like. Spiders aren’t scary. A NAP isn’t as relaxing as it sounds. Has all this SEO jargon got you confused? 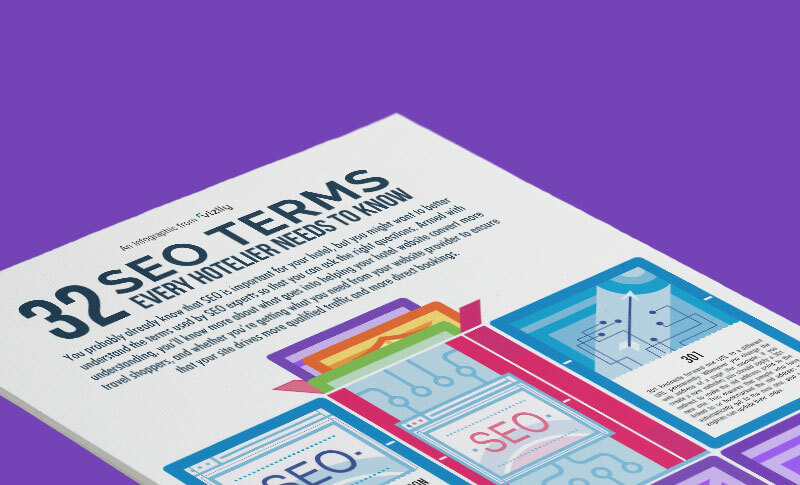 We put together an infographic with 32 SEO terms that will help you navigate the complicated world of SEO. Brush up on your SEO knowledge. Employing these strategies can help boost your hotel’s website to the top spots in search engine results. But for consistent and measurable SEO success, you’ll need all these factors (and more) working at once. With a Vizlly + SEO website, you get a dedicated team of SEO analysts and copywriters on your side. 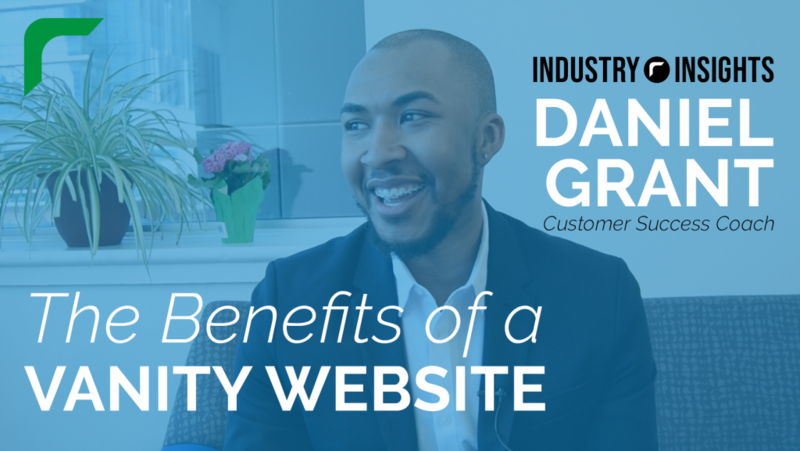 Your website’s success is monitored on a monthly basis ensuring you always have the best strategy in place. Learn more about our SEO-driven websites by reaching out today.